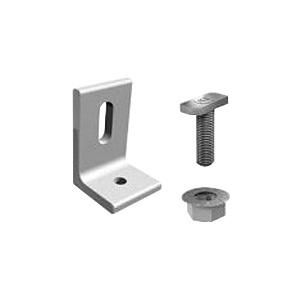 Everest Solar Systems L-foot with T-bolt and nut, has mill finish for added durability. It incorporates German engineering thus optimizing residential installation. L-foot offers better adjustability and compatibility with common roof interface. The L-foot is validated for different kinds of solar states. It features fast installation and two rail options for wind and snow conditions. This L-foot is suitable for use with CrossRail 48/80.